Bring home the ultimate combination of comfort, with elegance. 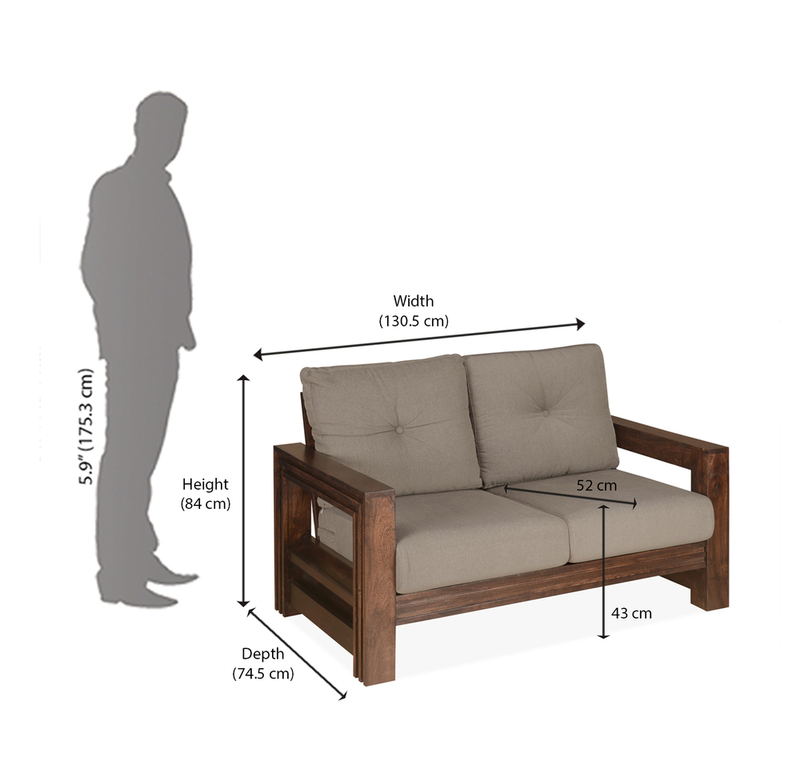 Relax after a tiring day at work with Frida 2 Seater Sofa. With a classic cappuccino tint, Frida 2 seater sofa is specially crafted for absolute comfort. The frame is constructed with high-quality solid wood and upholstery of Chenille. The seating is constructed with pocket spring and foam to ensure absolute seating comfort. The compact design makes it easier to assemble occupying less space. Add this to your living room and complete the ravishing look of it. @home by Nilkamal Fabric provides comfort while seating.Elegant design can match with any décor.